AARP Foundation has announced the esteemed members of the host committee for the AARP The Magazine’s 15th annual Movies for Grownups Gala. 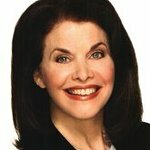 The 2016 host committee will be co-chaired by Rob Friedman and Sherry Lansing. 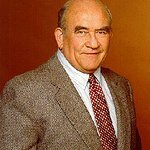 Committee members include Ed Asner, June Squibb, Ed Begley Jr., Jeff Bridges, Blythe Danner, Robert Forster, Sid and Nancy Hult Ganis, Ken Scherer and Jane Seymour. The annual awards gala supports AARP’s charitable affiliate, AARP Foundation, which helps struggling people 50 and older in Los Angeles and around the country transform their lives through programs that focus on functional and affordable housing, adequate and nutritious food, steady income, and strong and sustaining social bonds. AARP Foundation serves more than three million low-income seniors every year. AARP The Magazine will host the 15th annual Movies for Grownups Gala on Monday, February 8, 2016, at the Beverly Wilshire in Los Angeles. Several awards will be presented, including best actor, best actress and best director. Chase Card Services will be the Premier sponsor of the event. “Chase is a proud supporter of AARP Foundation’s hunger programs and we are excited to come together on this event to highlight the importance of addressing senior hunger as a basic health issue,” said Richard Quigley, president of Chase’s partner card business. The event aligns with Chase’s commitment to donate up to $1.1 million to AARP Foundation in 2016 through a cause-marketing campaign with the AARP Credit Card from Chase.